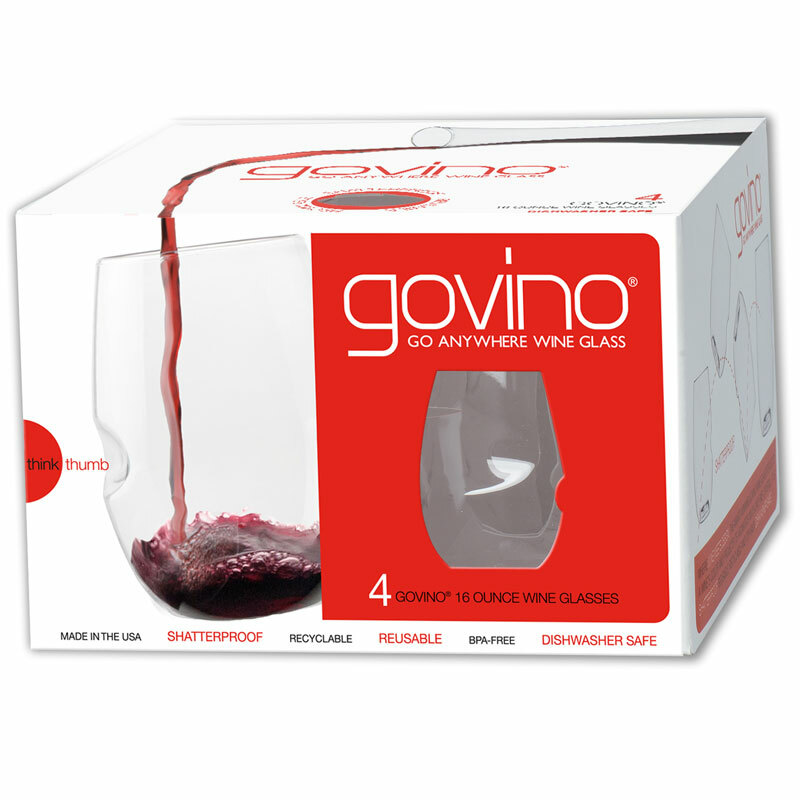 Govino - Go anywhere wine glass. You can drop the govino on the ground and it won’t shatter one little bit! Govino really means go anywhere you like, the revolutionary vessel! Designed in the USA, it provides the ultimate enjoyment of wine, as well as cold beverages and mixers too. The unique ergonomic thumb-notch makes wine swirling most simple and best of all you can reuse them or even recycle them. Each box comes with a set of four crystal clear shatterproof ‘glasses’, these stemless glasses are perfect for the garden or a day at the beach or park! 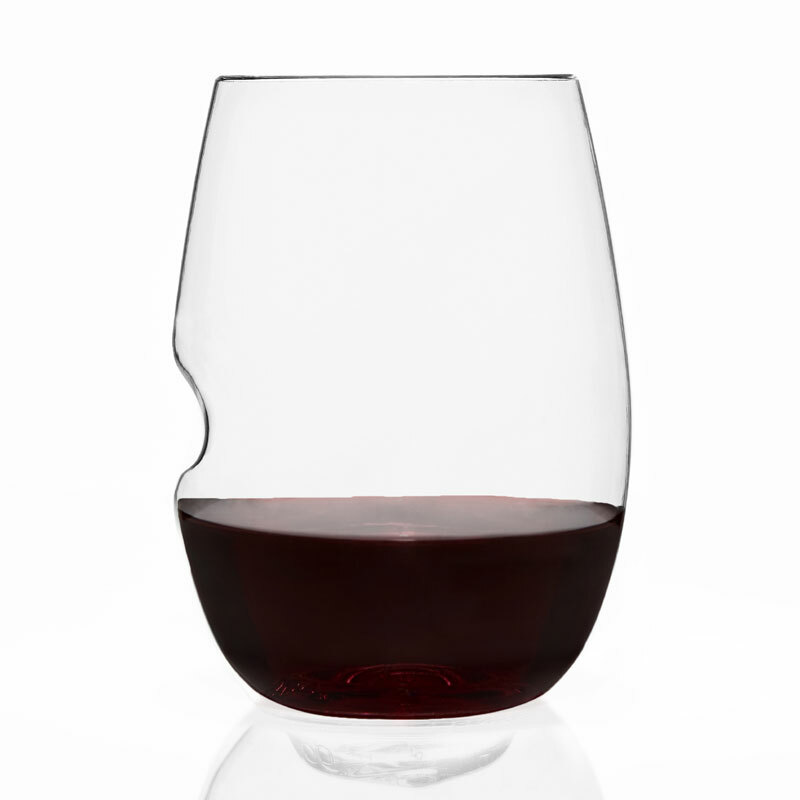 The govino wine ‘glass’ is actually not glass at all. 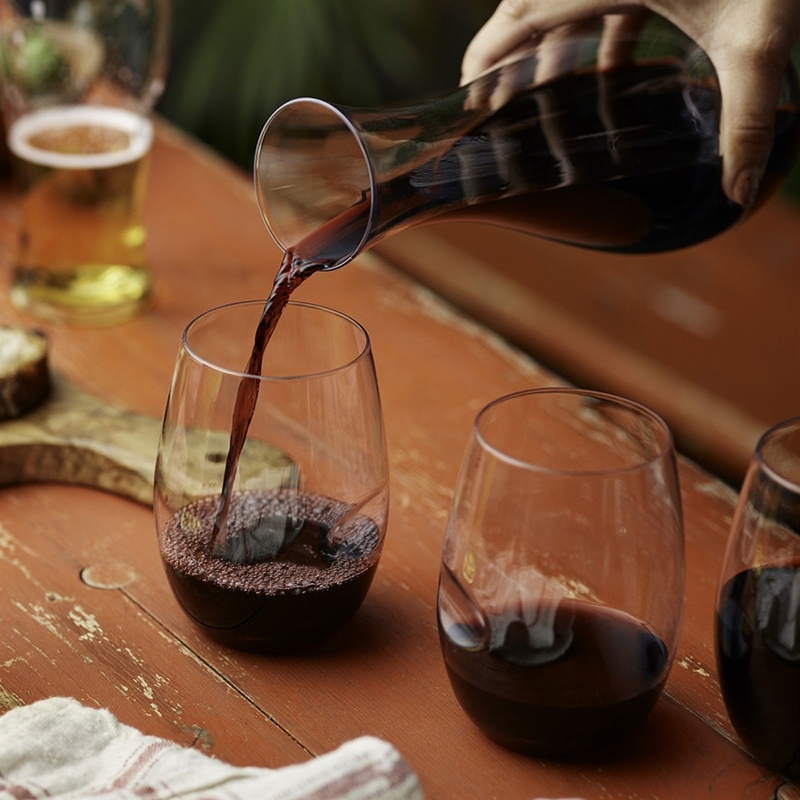 It's made from a proprietary, food-safe/pharmaceutical-grade polymer ‘aka’ PETG, which reflects a wine’s colour and projects its aromatics much like crystal does. Best of all…once your vino is gone your govino can be reused or recycled. Reuse it, abuse it, but eventually recycle it. To ensure the optimum wine tasting experience, replace your govino wine glass after an extended period of use. 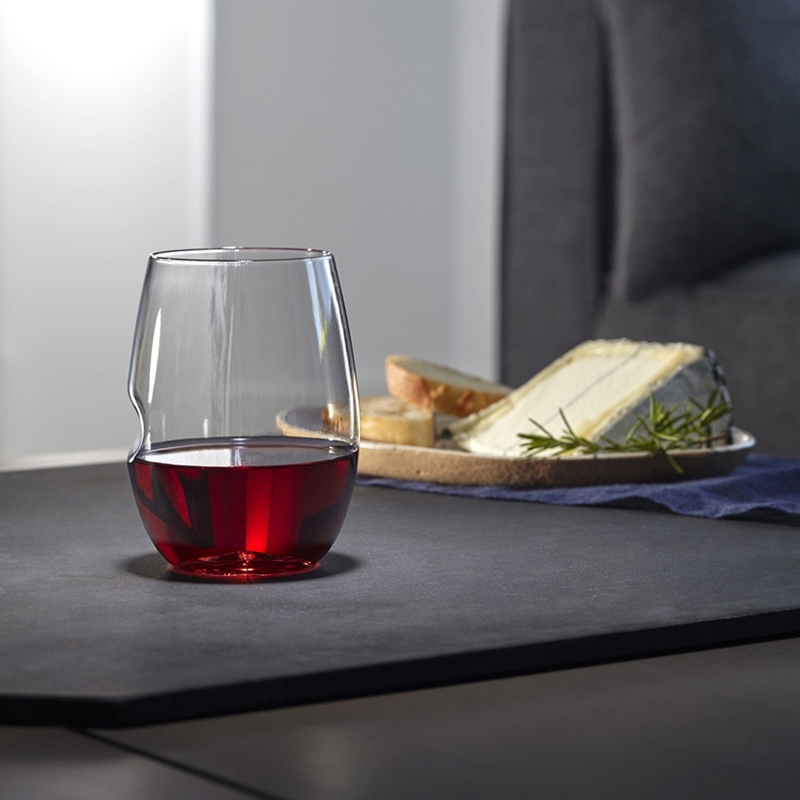 After use, simply pop into your dishwasher and your govino red wine glass will look exactly the same, it won't fade, change colour and it'll keep its elegant shape! All Govino products are 100% BPA FREE. 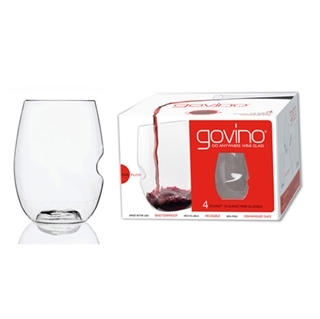 Also available is the Govino complete collection, as well as White Wine / Cocktail glass, Beer glass, Champagne flute and Decanter / Carafe individually. If you're interesting in having your company logo on a govino item, please get in contact with us regarding branding and we can supply a quote. Very stylish and good size. Everything they said they would be and we can't wait to start using them! As i expected but slightly more flexible. Wife not impressed so they may become a xmas present! !